Maharashtra Navnirman Sena (MNS) chief Raj Thackeray on Monday said that Prime Minister Narendra Modi and Delhi Chief Minister Arvind Kejriwal had piggybacked on anti-graft activist Anna Hazare’s Jan Lokpal movement. 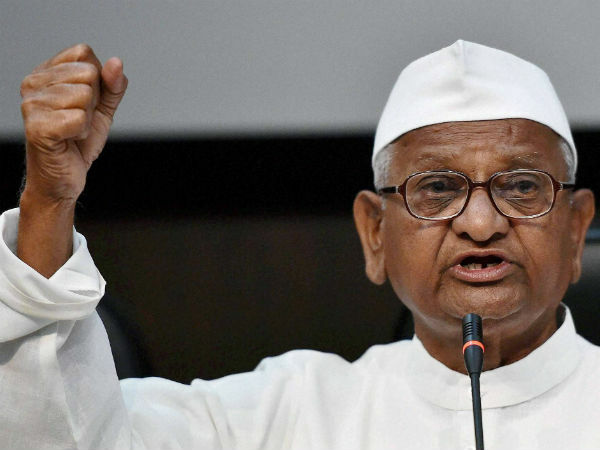 “I have urged Anna not to put his life in danger for this apathetic government. This [BJP-led NDA] is a government of liars and the biggest liar is Mr. Modi. This is an utterly shameless government. It has not the slightest sensitivity to whether Anna lives or dies,” Mr. Raj Thackeray said. He and other MNS leaders visited the activist in Ralegan Siddhi as his indefinite hunger strike over the Centre’s failure to appoint a Lokpal entered the sixth day on Monday. “It is only because of Mr. Hazare’s agitation for the Lokpal and Lokayuktas that Mr. Modi and Mr. Kejriwal are in power. They have used Anna and then conveniently jettisoned him. Who had heard of Mr. Kejriwal before? But today he does not even bother to visit Anna or ask after his health,” said the MNS chief. He said that Mr. Modi had tweeted on December 18, 2013, about the need to implement the Lokpal and Lokayuktas Act. “After five years in power, the Modi government has done nothing to appoint a Lokpal…this is a government of dishonest people,” he said.